Almighty God says, “From the time when there was the Bible, people’s belief in the Lord has been the belief in the Bible. Instead of saying people believe in the Lord, it is better to say they believe in the Bible; rather than saying they have begun reading the Bible, it is better to say they have begun believing in the Bible; and rather than saying they have returned before the Lord, it would be better to say they have returned before the Bible. In this way, people worship the Bible as if it were God, as if it were their lifeblood and losing it would be the same as losing their life. People see the Bible as being as high as God, and there are even those who see it as higher than God. If people are without the work of the Holy Spirit, if they cannot feel God, they can carry on living—but as soon as they lose the Bible, or lose the famous chapters and sayings from the Bible, then it is as if they have lost their life” (“Concerning the Bible (1)” in The Word Appears in the Flesh). What does it mean to believe in the Lord? What does it mean to believe in the Bible? What is the relationship between the Bible and the Lord? Which came first, the Bible or the Lord? Then who is it that does the work of salvation? Can the Bible stand in for the Lord in doing His work? Can the Bible represent the Lord? If we put blind faith in the Bible and worship the Bible, does this mean that we believe in and worship God? Is holding onto the Bible tantamount to practicing and experiencing God’s word? Does holding onto the Bible necessarily mean that we are following the Lord’s way? So if we place the Bible before everything else, does this mean that we are worshiping the Lord as great, that we are reverent of and obedient to the Lord? No one sees the truth of these issues. For thousands of years, people have been blindly worshiping the Bible and affording the same status to the Bible as they do to the Lord. Some even use the Bible to substitute for the Lord and His work, but no one truly knows the Lord and is obedient to Him. Just because of holding onto the Bible, the Pharisees nailed the Lord Jesus to the cross. What was the issue? Does understanding the Bible mean knowing God? Does holding onto the Bible mean following the Lord’s way? The Pharisees were experts of biblical exegesis, but they didn’t know God. Instead, they nailed the Lord Jesus who expressed the truth and did the redemptive work, to the cross. Isn’t this a fact? Exactly what does it mean to really know God? Does just being able to interpret the Bible and understanding the Bible knowledge qualify as knowing God? If that’s the case, then why would the Pharisees condemn and oppose the Lord Jesus even as they interpreted the Bible? The key of whether one is able to truly know and obey God is whether or not he knows and obeys the incarnate Christ. God incarnate reveals all of mankind, this is what most people fail to realize. The Lord Jesus’ curse on the Pharisees is a testament to the fact that God treats everyone with righteousness. As is clear, if we do not obey and worship the Lord but only blindly believe in and worship the Bible, we will not receive God’s approval. If one’s faith consists solely in abiding by the Bible and his heart has no place for the Lord, if he cannot worship the Lord as great and practice His words, if he is incapable of accepting and obeying God’s work and guidance, is such a man not a hypocritical Pharisee? Is such a man not an antichrist, a man who has made Christ his enemy? Thus, if we only cling to the Bible, this certainly does not mean that we have gained truth and life. It is wrong to worship and blindly follow the Bible, by doing so we certainly will not receive the Lord’s approval. God become flesh expresses the truth to purify and save us humans, and to rescue us from Satan’s influence so that we may obey God, worship God and be gained by God in the end. This is the purpose and meaning of God incarnate doing His work. The key to our faith is seeking the truth, and practicing and experiencing the Lord’s word. Only in this way will we receive the work of the Holy Spirit and come to know God. Then, we will be able to revere God, and magnify the Lord in our heart. Also, we will have true faith in and obedience to Him. This is the true meaning of faith in the Lord. Only by practicing faith in this way will we receive the Lord’s approval. From this, everyone can plainly see that belief in the Bible is not tantamount to belief in God. So what is the relationship between God and the Bible? With regard to this question, the Lord Jesus spoke very clearly. Please turn to the Gospel of John chapter 5 verses 39–40: “Search the scriptures; for in them you think you have eternal life: and they are they which testify of Me. And you will not come to Me, that you might have life.” From the Lord Jesus’ words, it is very clear that the Bible is only a testimony to God, it is merely a record of God’s work in the past. The Bible does not represent God, because the Bible only contains a limited account of God’s words and work. How can this limited account of God’s words and work represent God? God is the Creator who fills all in all, He is the Master of all things. God’s life is unlimited and inexhaustible. Man can never fathom God’s greatness and abundance. And the limited record of God’s words and work found in the Bible is but a drop in the vast sea of God’s life. How could the Bible represent God? How could the Bible be on a par with God? God can do work to save man, can the Bible do work to save man? God can express the truth, can the Bible do that? God can enlighten, illuminate and guide man at any time, can the Bible do it? Of course not! So, the Bible cannot represent God. Some people place the Bible on a par with God and think that the Bible can represent God. Is this not a belittlement and blasphemy of God? If we use the Bible in place of God’s work, this is a denial and betrayal of God. God is God, the Bible is the Bible. The Bible cannot represent God, nor can it stand in place of God’s work. The Bible is just a record of God’s work. The words of God within the Bible are truth. They are a manifestation of the life disposition of God, and can show God’s will. But each stage of God’s work only represents God’s requirement and will for mankind during that age. They do not represent the words and work of God in other ages. Are you all clear on this now? “What they recorded, it can be said, was according to their level of education and human caliber. What they recorded was the experiences of men, and each had their own means of recording and knowing, and each record was different. Thus, if you worship the Bible as God you are extremely ignorant and stupid! Why do you not seek the work of the God of today? Only the work of God can save man. The Bible cannot save man, they could read it for several thousand years and still there would not be the slightest change in them, and if you worship the Bible you will never gain the work of the Holy Spirit” (“Concerning the Bible (3)” in The Word Appears in the Flesh). “People’s approach to the Bible is one of obsession and faith, and no one can be completely clear about the inside story or substance of the Bible. So, today people still have an indescribable sense of magicalness when it comes to the Bible; even more than that, they are obsessed with it, and have faith in it. … With such blind belief in the Bible, with such trust in the Bible, they have no desire to seek the work of the Holy Spirit. In people’s conceptions, they think that only the Bible can bring the work of the Holy Spirit; only in the Bible can they find the footsteps of God; only in the Bible are hidden the mysteries of God’s work; only the Bible—not other books or people—can clarify everything of God and the entirety of His work; the Bible can bring the work of heaven to earth; and the Bible can both begin and conclude the ages. With these conceptions, people have no inclination to search for the work of the Holy Spirit. So, regardless of how much of a help the Bible was to people in the past, it has become an obstacle to God’s latest work. Without the Bible, people can search for the footsteps of God elsewhere, yet today, His footsteps have been contained by the Bible, and extending His latest work has become double difficult, and an uphill struggle. This is all because of the famous chapters and sayings from the Bible, as well as the various prophecies of the Bible. The Bible has become an idol in people’s minds, it has become a puzzle in their brains, and they are simply incapable of believing that God can work exclusive of the Bible, they are incapable of believing that people can find God outside of the Bible, much less are they able to believe that God could depart from the Bible during the final work and start anew. This is unthinkable to people; they can’t believe it, and neither can they imagine it. The Bible has become a great obstacle to people’s acceptance of God’s new work, and has made it difficult to broaden this new work” (“Concerning the Bible (1)” in The Word Appears in the Flesh). Seeking and exploring the truth with regard to the question of whether the Bible can represent God and what relationship is between the Bible and God is of the utmost importance. First we must come to know: What kind of God is God? As we all know, God is the Creator of all things, the Ruler of all things. God is who He is and is infinitely omnipotent and wise. Only God can save mankind and guide mankind. Only God can determine the fate of mankind. This is a widely acknowledged fact. How was the Bible made? 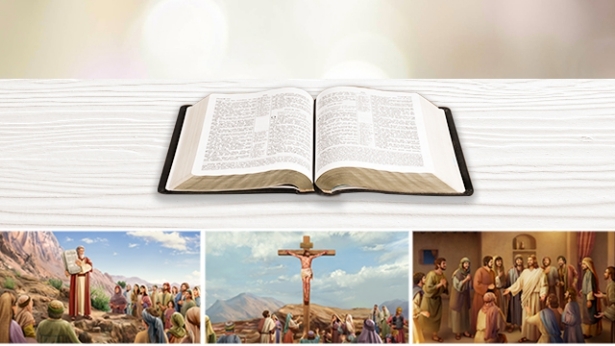 After God had finished His work, the men used by Him wrote down their testimonies and experiences, and these testimonies and experiences were later compiled to make the Bible. This is the truth. It is for this reason that we can, with great certitude, state that the Bible is merely a record of God’s work in the past, it is nothing more than a testimony to God’s work. The Bible cannot represent God, nor can it stand in place of God to do the work of saving man. If our faith is based only on reading the Bible and not on experiencing God’s work, we will never receive the work of the Holy Spirit and be saved. Because God’s work of salvation is an ongoing development. Thus, we shouldn’t fixate on one or two stages of God’s work. We must follow the footsteps of God’s work until God completes His work of saving mankind. Only in this way may we receive God’s full salvation and enter into our beautiful destination. God’s management plan of salvation includes three stages of work: the work of the Age of Law, the Age of Grace, and the Age of Kingdom. The Age of Law was the time when God used laws to guide the life of man. The Age of Grace was when God did the redemptive work on mankind. The Lord Jesus was nailed to the cross so as to redeem mankind from the domain of Satan, pardon them from their sins, and qualify them to come before God, pray to God, and commune with Him. As for the work of judgment in the Age of Kingdom, this is the very work to thoroughly cleanse, save and perfect all of mankind. If mankind only passes through the work of the Age of Law and the Age of Grace but fails to accept God’s work of judgment in the last days, they will not be thoroughly saved and gained by God. We can all see that in the Age of Grace the Lord Jesus’ work was only to redeem mankind. In this age, believing in the Lord only allowed us to be forgiven of our sins, be qualified to pray to God, and enjoy all of God’s grace, but we could not attain purity during this age. Why is that? Because we have sinful nature within, and we often commit sins, rebel against and oppose God, the Lord Jesus promised that He shall come again, and express all the truths that save mankind in the last days to purify all those who hear the voice of God and are brought before God’s throne. Just as the Lord Jesus foretold: “I have yet many things to say to you, but you cannot bear them now. However, when He, the Spirit of truth, is come, He will guide you into all truth: for He shall not speak of Himself; but whatever He shall hear, that shall He speak: and He will show you things to come” (Jhn 16:12–13). Almighty God’s words and work are a complete fulfillment of the verse in John: “When He, the Spirit of truth, is come, He will guide you into all truth.” So Almighty God is the return of the Lord Jesus. Almighty God is currently engaged in the work of judgment in the last days, and is purifying and perfecting all those who have come before His throne. That is, He is perfecting into overcomers those wise virgins who have returned toward Him after hearing His voice and will bring them into the kingdom of God. The fact of God doing three stages of work for salvation allows us to see that God has always been working to guide and save mankind. Each stage of God’s work is more elevated and more profound than the last. As for the Bible, it’s no more than a must book for us believers in God. The Bible cannot do the work of God, to guide and save mankind. The Bible is just a record of God’s work. When God had completed a work, man recorded His words and work in texts and the compiled text became the Bible. Though the Bible is indispensable to our faith, only by receiving the work of the Holy Spirit can we truly understand the Bible and the truth. This is fact. So, faith in the Lord requires that we follow the footsteps of the Lamb closely, accept and obey God’s work of judgment in the last days. Only in this way can we receive the work of the Holy Spirit and God’s salvation. If we only read the Bible but fail to accept the words and work of God in the last days, we cannot be purified and saved. Actually, even if all of God’s words were recorded in the Bible, without the work of the Holy Spirit, we would still be incapable of understanding and knowing God’s word. To understand the truth, we must experience and practice the words of God, we must receive the enlightenment and illumination of the Holy Spirit. Only thus can we understand God’s word, understand the truth and enter into the reality of the truth. The facts are sufficient to prove that the key to man’s salvation is the work of the Holy Spirit, the perfection of the Holy Spirit. Now, who is the Holy Spirit? Is the Holy Spirit not just God Himself? The Bible is just a record of God’s work in the past. So how could it possibly stand in for God Himself? So as I’ve said, only God can save man, the Bible is incapable of saving man. If one’s faith consists only in adhering to the Bible and not in accepting the words and work of God in the last days, if he doesn’t follow the pace of God’s work, he will be abandoned and eliminated. In the Age of Law, there were many that failed to accept the work of the Lord Jesus, they were eliminated. Those who believe in the Lord Jesus but fail to accept the work of Almighty God in the last days will also be abandoned and eliminated. It can be said that these people are blind and do not know God. All that is left for them is to bear the brunt of the coming disasters, wailing and gnashing their teeth. Whether people gain life through their belief in God depends on whether they obtain the truth. If they do, then they have truly known God; only those who have done so have truly gained life. Those who do not truly know God have not obtained the truth; such people, therefore, have not acquired life. This is certain, beyond any doubt. So what exactly does it mean to obtain the truth? This requires having knowledge of Christ, because He is God incarnate among humans, the One who expresses all truth. The truth originates from God’s life, and is entirely an expression of Christ, whose essence is the truth, the way, and the life. Only Christ possesses the essence of truth and life, so when you know Him and gain Him, you have truly obtained the truth. From this it is evident that among the believers in God, only those who know Christ and have gained Him have truly acquired life, known God, and reaped eternal life. This precisely fulfills what is written in the Bible: “He that believes on the Son has everlasting life: and he that believes not the Son shall not see life; but the wrath of God stays on him” (Jhn 3:36). Believing in the Son undoubtedly refers to believing in Christ incarnate. Of people who believe in God, only those who recognize Christ to be the truth, the way, and the life can truly know God, be saved, and made perfect; only they will receive God’s approval. Anyone who believes in God yet can still deny, resist, or forsake Christ is a person who practices faith but who also resists and betrays God. As such, he will not be able to achieve salvation or perfection. If someone believes in God but only blindly worships and testifies to the Bible while resisting or feeling hatred toward Christ, then that person has already embarked on the path of the antichrist and become an enemy of God. As an antichrist, such a person will be punished and cursed by God, and will end up passing into perdition and ruination. For those who believe in God, this is the most serious failure and sorrow. 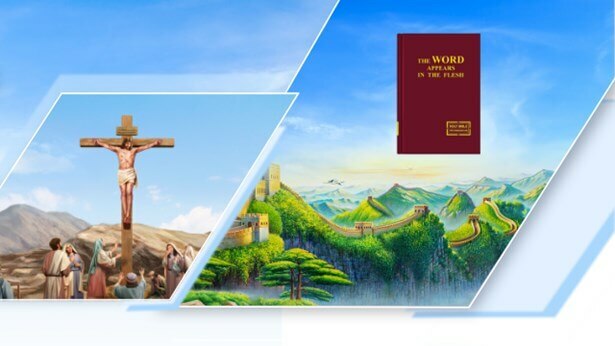 There are many who only believe in a vague God in heaven according to the Bible, but who do not believe God can become flesh, let alone accept Christ to be God incarnate, to be corrupt mankind’s Savior, or to be the practical God who saves humans. Such people do not know that Christ is the truth, the way, and the life; what’s more, they cannot be compatible with Christ. They are certainly the sort of people who grow bored with and feel hatred toward the truth. We can all read in the Bible that the Jewish chief priests, scribes, and Pharisees believed in God their whole lives yet refused to accept the incarnate Lord Jesus, to the point that they even crucified and killed Jesus Christ. As a result, they became people who resisted and betrayed God, and therefore were punished and cursed by Him. Despite their lifelong faith, they were unable to obtain God’s blessings and promise. How pitiful and sad an end! Thus, whether people succeed in their faith depends on whether they know and have gained Christ. The crux of the matter is whether they have accepted all of the truths expressed by Christ, and obediently experienced all of God’s work, whether they can exalt and testify to Christ until they are compatible with Him. This is what determines the success or failure of their faith in God. However, many people do not agree; they see the Bible as being above all else, and have even used it to supplant God in their hearts. When God incarnate comes to work, these people can actually deny, reject, and oppose Christ. If Christ’s words and actions are not in line with certain rules of the Bible, these people go so far as to condemn, reject, and forsake Him. Rather than believing in God, it would be more accurate to say that they believe in the Bible. In their eyes, the Bible is their Lord, their God. It seems that for them God, the Lord, is in the Bible, and it represents Him, so they believe that the truth is anything that is in complete agreement with the Bible, whereas anything that differs from the Bible cannot be the truth. Only the Bible is the truth. They see the Bible as being higher than all truth; to stray from the Bible would be to stray from the truth. They think God’s work and utterances are only those listed within its pages; they refuse to acknowledge anything He may have done or said apart from the Bible. Such people are the same as the Jewish chief priests, scribes, and Pharisees, who only recognized the Bible, yet did not know God whatsoever; and they were even less willing to admit to the existence of Christ incarnate. They even set the Bible and Christ against each other, having absolutely no knowledge that He is the truth, the way, and the life; they exalted and testified the Bible and nailed Christ to the cross, thereby committing a monstrous sin of resistance to God. So, they might have believed in God, but were not saved; on the contrary, they became God’s enemies and antichrists, and were destined to be punished and cursed by Him. This is the direct consequence of people who believed in God in religion, who were deceived and controlled by the chief priests, scribes, and Pharisees, and set upon the path of the antichrist. It shows that what the Lord Jesus said is true: “And if the blind lead the blind, both shall fall into the ditch” (Mat 15:14). People like that certainly cannot be saved or perfected. The Bible contains a sentence that best represents Christ’s essence. It was what the Lord Jesus said, “I am the way, the truth, and the life: No man comes to the Father, but by Me” (Jhn 14:6). With these words, the Lord Jesus hit the nail on the head, and revealed the greatest mystery of faith in God—the fact that only by knowing Christ and gaining Christ can people achieve salvation. This is because only when God is incarnated as Christ can He thoroughly save mankind. Christ is the only gateway for His sheep to enter the kingdom of heaven, and only Christ incarnate is the practical God that can bring salvation to humans. When they believe in God, only by accepting and following Christ can they be set upon the path to salvation and perfection. This is the only way they can become people who do the will of the heavenly Father, and in turn enter the kingdom of heaven. From this, we know that believers in God must accept and obey Christ incarnate before they can be saved, perfected, and receive God’s approval. This is the way in which God has ordained for people to believe in Him and achieve salvation. Thus, the question of whether people who believe in God know Christ and have gained Christ is of utmost importance, and has a direct bearing upon their destination and outcome. When we recall the work the Lord Jesus did when He came to earth to initiate the Age of Grace, we can see that none of the believers in the religion knew or followed Him. This was especially true of the chief priests, scribes, and Pharisees of the Judaism, all of whom refused to recognize or accept Christ. Furthermore, these people denied, judged, and condemned the Lord Jesus according to what was written in the Bible. They even crucified Him, thus committing a monstrous sin of resistance against God and becoming the archetypes of people over the past two thousand years who believe in God yet resist and betray Him, and who therefore have had to suffer God’s punishment and curses. Actually, early on, while preaching, the Lord Jesus had already perceived the fact that the essence of the religious world was one that resisted God, and with great accuracy He directly exposed the root and essence of the Pharisees’ resistance to God: “And you have not His word abiding in you: for whom He has sent, Him you believe not. Search the scriptures; for in them you think you have eternal life: and they are they which testify of Me. And you will not come to Me, that you might have life” (Jhn 5:38–40). The Lord Jesus’ words revealed the truth and essence of how the religious community believed in yet resisted God. Simultaneously, they shed light on the essence of the relationship between the Bible and Christ. This is undoubtedly an enormous salvation for people who believe in God. However, in today’s religious community, most people still blindly believe, worship, and testify the Bible, placing it on a pedestal above Christ and testimonies of Christ. This is especially true of religious leaders and pastors who, like the Pharisees, continue to judge, condemn, and blaspheme Christ incarnate in the last days according to the Bible, despite the truth He expresses. Their actions have led to the final tragedy of crucifying Christ a second time, and long ago stirred up God’s fury. The consequence is disastrous, for Almighty God warned early on, “Woe be unto those who crucify God” (“The Wicked Will Surely Be Punished” in The Word Appears in the Flesh). It is therefore completely necessary to give a clear fellowship about the relationship between the Bible and Christ so that everyone can treat the Bible correctly, accept Christ, and obey His work to obtain God’s approval. With regard to the scriptures, the Lord Jesus once said, “they are they which testify of Me.” Here God’s word was spoken with great clarity; the Bible is merely a compilation of testimonies about Him. We all understand that the Bible is a genuine record of the first two stages of God’s work. In other words, it is the testimony of the first two stages of God’s work, which conclude the guidance and redemption of mankind after the creation of the heavens and earth and all things, as well as of mankind. From reading the Bible, everyone can see how God led humans in the Age of Law and taught them to live before Him and worship Him. We can also see how God redeemed mankind in the Age of Grace and forgave them for all their past sins while bestowing upon them peace, joy, and all manner of grace. Not only can people see that God created mankind and has constantly guided them, but also that He then redeemed them. Meanwhile, God has also provided for and protected mankind. Moreover, we can read from the biblical prophecies that in the last days, God’s words will burn like fire to judge and cleanse His people. They will save mankind from all sins and help us to escape from Satan’s dark influence so that we may completely return to God and ultimately inherit His blessings and promise. This is what God meant when He said, “they are they which testify of Me.” Therefore, anyone who has conscientiously read the Bible can see some of God’s actions and recognize His existence and the almightiness and wisdom with which He created, dominates, and rules over everything in heaven and on earth. Thus, the Bible is deeply meaningful to people in believing in God, knowing God, and walking the proper path of faith. Anyone who sincerely believes in God and loves the truth can find a goal and direction in life by reading the Bible, and learn to believe in Him, rely on Him, obey Him, and worship Him. 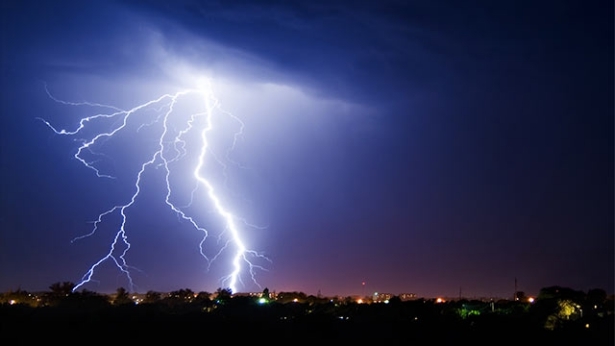 These are all the effects of the Bible’s testimony of God; this is an undeniable fact. However, the Lord Jesus also expressed an even more important point when He said, “Search the scriptures; for in them you think you have eternal life” and “And you will not come to Me, that you might have life.” These words are so important! If people who believe in God wish to obtain the truth and life, merely relying on the testimony of the Bible is not enough; they also must come to Christ to gain the truth and life. This is because only Christ can express the truth, redeem mankind, and save mankind. God is the One who gives us life. The Bible cannot take the place of His power, let alone the work of the Holy Spirit, and it cannot bestow life upon humans on God’s behalf. Only by accepting and obeying Christ can we obtain the Holy Spirit’s work and gain the truth and life. If people only believe in the Bible without accepting the practical God incarnate, then they will not be able to gain life, because the Bible is not God; it is merely testimony to God’s work. In believing in God, we should comprehend that there are stages to His work of saving mankind; three stages of work are necessary to thoroughly save mankind from Satan’s influence, so that they can truly return to God and be gained by Him. Therefore, every stage of God’s work that humans experience brings them part of His salvation. Only by following closely the pace of the Holy Spirit’s work and experiencing God’s judgment and chastisement in the last days can we receive God’s ample and full salvation. For example, in their belief in Jehovah God, the Israelites could only enjoy God’s promise during the Age of Law. If they did not accept Jesus Christ’s salvation, they could not be forgiven of their sins, much less enjoy the peace, joy, and bountiful grace bestowed by the Lord; this is a fact. If people only accept the Lord Jesus’ redemption to be forgiven of their sins, as well as enjoy the many graces bestowed by God, yet do not accept His work of judgment and chastisement in the last days, then they cannot obtain truth or life, nor will they be able to achieve change in their life disposition. As such, they will not be qualified to inherit God’s promises and enter the kingdom of heaven. Each stage of God’s work bears its own fruit and is more elevated than the last. These stages all complement each other; not a single one can be skipped. They gradually lead to perfection. If one were to not accept one of the stages of God’s work, that person could only obtain a portion of His salvation, not all of it. This, too, is a fact. If people only believe in the Bible without accepting Christ in the last days, they will become people who resist and betray God. As a result, they will have lost God’s final and full salvation. In other words, people who only believe in the Lord Jesus and do not accept the salvation brought by His return—Almighty God—in the last days, then their faith will be spoiled halfway, and will all come to naught. What a pity that would be! How regretful! Therefore, not accepting Christ incarnate leads to being unable to obtain life. By only believing in the Bible, people cannot be saved or obtain life, and will never be able to know God, because the Bible is not God; it is merely the testimony of Him. Thus, if people only believe in the Bible without accepting Christ, they cannot receive the Holy Spirit’s work. As a result, they cannot be saved by God; they can only be eliminated by Him. This is certain beyond doubt. It is a fact that can be seen by reading the Bible. Moreover, this is also the root cause of why the religious leaders and pastors believe in God yet resist God, which leads to failure in their faith. Previous：Question 24: Religious pastors and elders hold to the words of Paul in the Bible: “All scripture is given by inspiration of God” (2Ti 3:16), believing that everything in the Bible is God’s words. But you say that the Bible is not entirely made up of the words of God, so what is this all about? Next：Question 26: The Bible is testimony to God’s work; it is only through reading the Bible that believers in the Lord come to recognize that God created the heavens and the earth and all things, and are able to see God’s wondrous deeds, His greatness and almightiness. The Bible contains many of God’s words as well as testimonies of man’s experiences; they can provide sustenance for people’s lives as well as great edification, so what I’d like to seek is, can we actually attain eternal life through reading the Bible? Is it possible that there’s no way of eternal life within the Bible?